Mr. Aleksandr A. Auzan is Dean of the Faculty of Economics of Lomonosov Moscow State University, Head of the Department of Applied Institutional Economics of the Faculty of Economics at Lomonosov Moscow State University, Doctor of Science (Economics), Professor. He was born in Norilsk on July 11, 1954. He graduated from the Faculty of Economics of Lomonosov Moscow State University and now holds a degree Doctor of Science (Economics) and Professor. 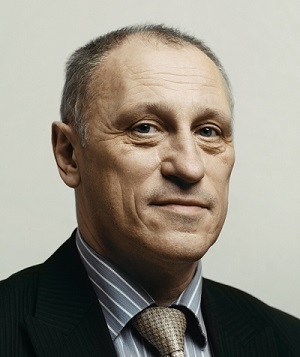 Since 2013, Aleksandr Auzan has been Dean of the Faculty of Economics of Lomonosov Moscow State University. At the end of 1980s, Mr. Auzan became one of initiators to start consumer right associations. He was a member of the Bureau of Consumers International, a global consumer organization. From 2005 to 2011, he was head of the Association of Russian Economic Think-Tanks (ARETT). He was a member of the RF Presidential Council for Civil Society and Human Rights and the RF Presidential Commission for Modernization and Technological Development of Russia's Economy. He also was head of the Advisory Working Group of the Commission. Currently, he is a member of the Economic Council under the President of the Russian Federation, Governmental Commission on Administrative Reform, Public Council under the Ministry of Economic Development of Russia, and Expert Council on Contractual Relations with the Ministry of Economic Development of Russia. From 2011 to 2012, Aleksandr Auzan was head of the Expert Group "Optimization of State's Presence - Reducing Regulatory Functions and Ensuring Transparency and Feedback from Citizens and Businesses" to update Strategy 2020. Since 2011, he has become a member of the Advisory Council on regulatory impact assessment in the Ministry of Economic Development of Russia. Mr. Aleksandr A. Auzan has made a significant contribution to the development of new institutional economics. He is the author of more than a hundred scientific papers, including four monographs. He regularly publishes articles and gives interviews to the media. He also gives lectures on institutional economics, modernization of the economy, socio-cultural values, and dynamics of the social contract.